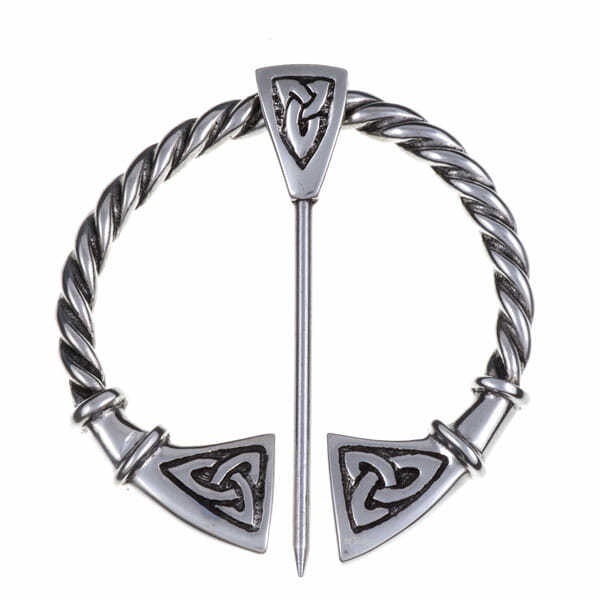 Large Celtic penannular brooch – a pewter pennanular brooch/fastener with Celtic knot detail and carbon steel pin. The pin is pushed through a loose weave garment and secured by rotating the circular section over it, just as it would have been used 1000 years ago. Suitable for use with loose weave fabrics only.